I dragged the whole family to Pueblo and even subjected our friend Scott to the five-plus hour drive with screaming kids and all. 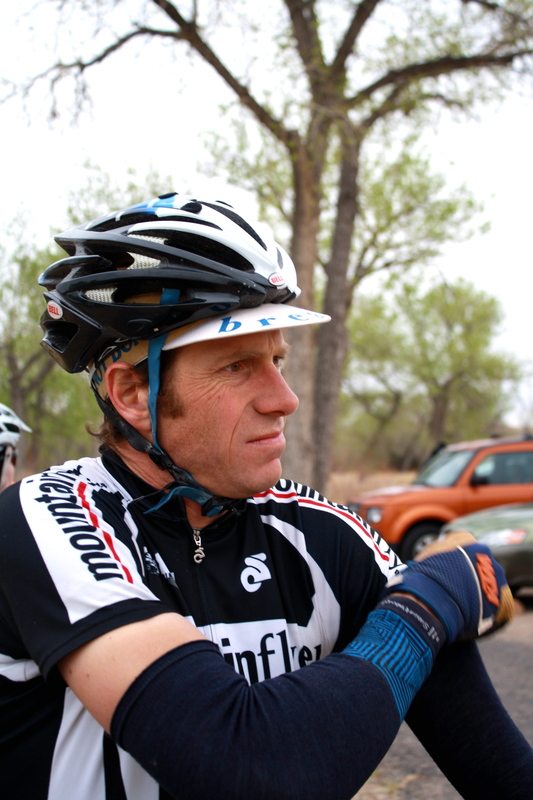 Excited to be out of the car, Scott and I enjoyed a quick recon on part of the course on Friday afternoon while Ian pulled the kids through Lake Pueblo State Park in the Chariot. 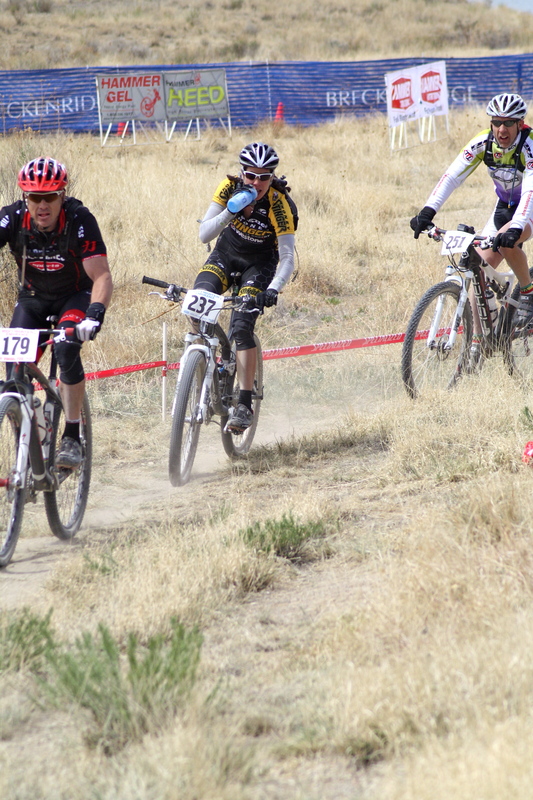 The race started early on Saturday morning with a neutral start, a short paved climb and then on to the singletrack. We were fairly backed up for the first 16 miles or so because the course was 90% singletrack. Once things opened up a little, I was feeling good and riding well. 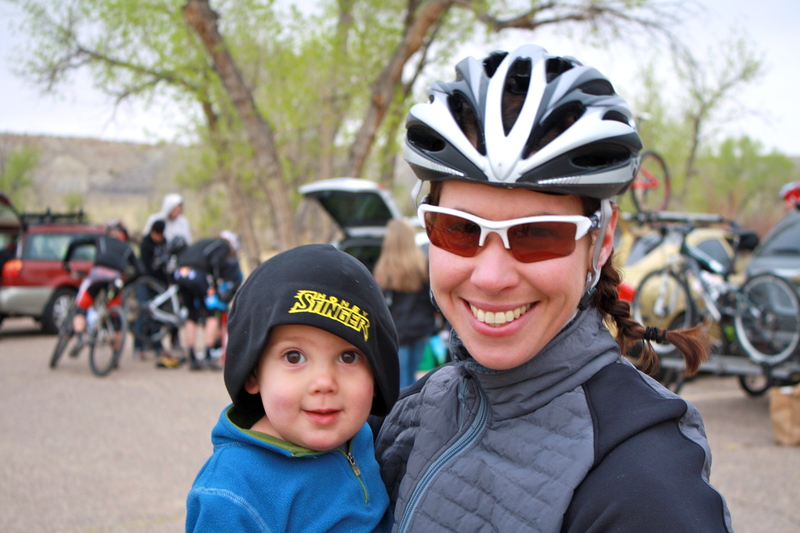 I came through the first lap about 12 minutes behind the lead men and at the neutral feed zone Ian handed off food and water, while Juniper rang her cowbell and Axel bounced in excitement. I had no idea where the next woman was so I continued to push the pace. I passed lots of guys on the side of the trail with flats and mechanicals, so I tried to race smart and only passed where I could see I wouldn’t hit a cactus or pick up a bunch of goatheads. When I came back through the finish area to start my third lap, Ian Squirt lubed my chain and let me know I had at least 20 minutes on second place. I continued to ride hard as I felt great and knew there was still a lot of potential for flats. 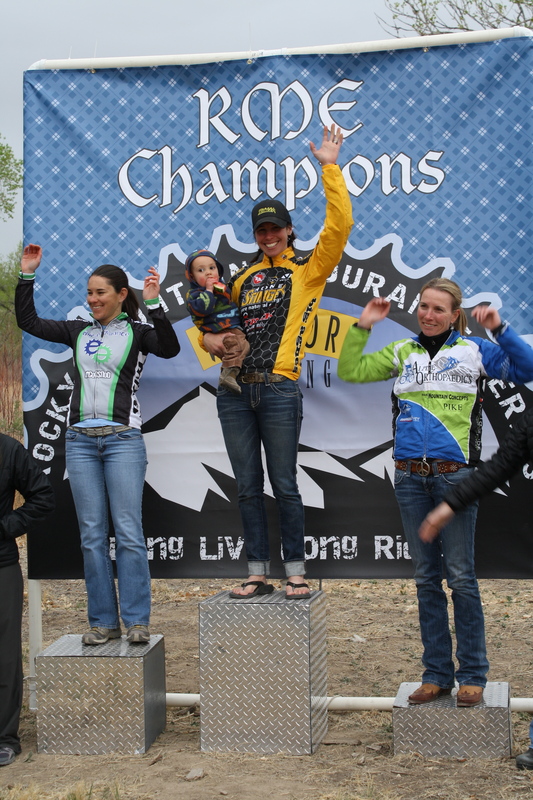 Plus this was a “let’s see where we’re at and what we need to work on for Leadville” race, so the only way to do that was to race against myself. With just a few miles left, I saw our friend Scott a hundred meters in front of me. As I got closer, hoping to beat him to the line, he realized it was me and threw the throttle down to hold me off by 4 seconds. We finished in 5 hours 14 minutes, Scott in 14th and me in 16th overall. A great day of racing for both of us. A quick note on gear. I wore the Osprey Verve hydration pack with Nuun tablets in the bladder and I was really happy with my decision for this race. The singletrack was really winding and there were not a lot of opportunities to grab a water bottle . The Osprey pack was light , convenient and kept me hydrated for the whole race. 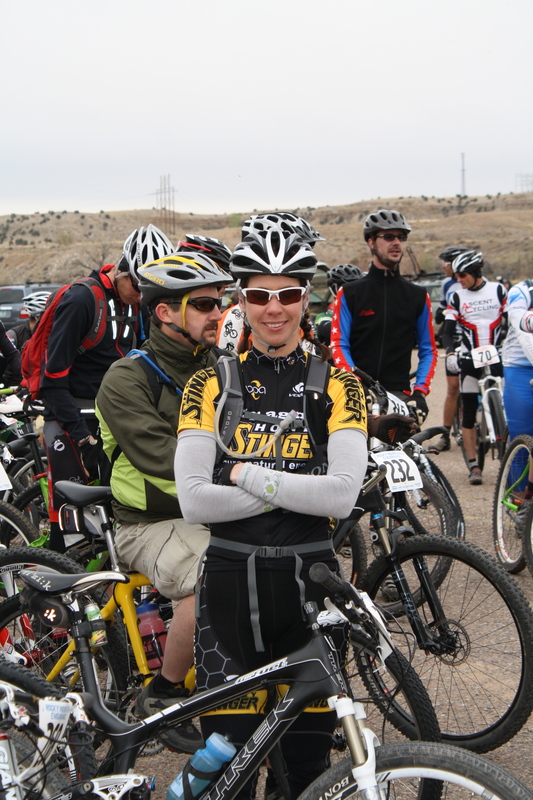 I dumped Honey Stinger chews into my jersey pocket so I could eat quickly and easily as well. All in all, it was a great system for a longer race but I will probably use it in shorter races as well. And totally off subject, the Outside Magazine piece is now online if you missed it on the newsstand. Check it out here.